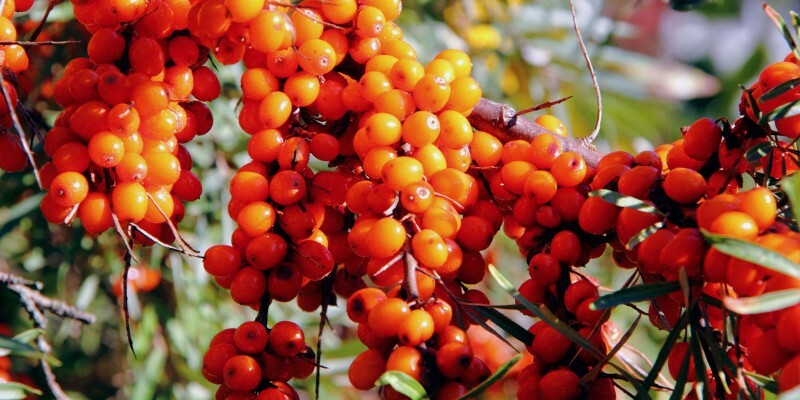 Sea-buckthorn is a very unique berry that contains a high amount of the beneficial polyunsaturated fatty acids omega-3 and 6, and is also rich in many vitamins. The content of vitamin C in a small berry corresponds to the content of vitamin C in a whole orange. Sea-buckthorn also includes various forms of vitamin B, b1, b2, b3, b5, b6, b12 and Vitamins A, E, and K, 7 different flavonoids, carotene, folic acid and trace minerals such as phosphorus, potassium, calcium, copper , manganese, magnesium, sodium, iron and zinc. Surveys also show that the oil can be good for aging skin. 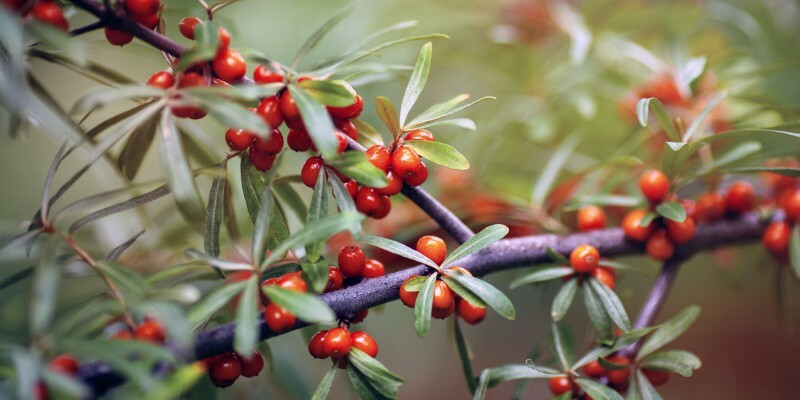 Sea-buckthorn seems to contribute to a normal beautiful skin. Surveys also show that the oil can be good for aging skin. The reason for this is among others the high concentration of the beneficial and essential fatty acids, omega-3 and 6, and the high content of antioxidants.